Pearson has confirmed it is selling the Financial Times Group to Japan's media company Nikkei for £844 million in cash. Today's shock sale of the 127 year old brand includes the FT newspaper, FT.com, How to Spend It, FT Labs, FTChinese, the Confidentials and Financial Publishing (including The Banker, Investors Chronicle, MandateWire, Money-Media and Medley Global Advisors). In 2014, FT Group contributed £334 million of sales and £24 million of adjusted operating income to Pearson. At 30 June 2015, FT Group had gross assets of approximately £250 million. The agreement does not include FT Group’s London property at One Southwark Bridge and Pearson’s 50 per cent stake in The Economist Group. 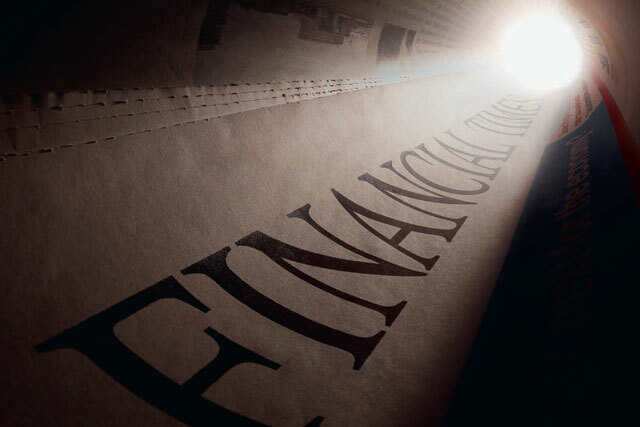 The FT's specialist business information has enabled it to evolve its business model over the last decade more successfully than most other national and international news brands. The financial stalwart has managed to offset its declining print advertising revenues with subscriptions - where most of the growth is being generated by users accessing the FT's digital platforms; www.ft.com and its mobile and tablet apps. Total circulation across print and digital rose more than 30 per cent over the last five years to 737,000, with digital circulation growing to represent 70 per cent of the total, from 24 per cent, and mobile driving almost half of all traffic. Content and services now account for the majority of revenues. A contribution will be made to the Pearson group pension plan following closing of the transaction, expected to be around £90 million. In addition, Pearson has committed to fund the pension plan to self-sufficiency in the near term. Most of the proceeds from the disposal will be subject to UK Substantial Shareholder Exemption taxation relief but Pearson expects to pay tax on disposal of approximately £60 million. The balance of the proceeds will be used by Pearson for general corporate purposes and investment in its global education strategy. John Fallon, Pearson’s chief executive, said: "Pearson has been a proud proprietor of the FT for nearly 60 years. But we’ve reached an inflection point in media, driven by the explosive growth of mobile and social. In this new environment, the best way to ensure the FT’s journalistic and commercial success is for it to be part of a global, digital news company. "Pearson will now be 100 per cent focused on our global education strategy. The world of education is changing profoundly and we see huge opportunity to grow our business through increasing access to high quality education globally." Fallon pointed to Nikkei's "long and distinguished track record of quality, impartiality and reliability in its journalism" and said he was "confident" that the FT will "continue to flourish under Nikkei’s ownership". Founded in1876, Nikkei is 12 years older than the FT and its media assets include newspapers, television, magazines and digital media. The group includes flagship newspaper Nikkei, which has 3 million subscribers, English language business title Nikkei Asian Review, TV Tokyo and finance and business news channel, Nikkei CNBC. Tsuneo Kita, chairman and group CEO of Nikkei, said: "I am extremely proud of teaming up with the Financial Times, one of the most prestigious news organisations in the world. "Our motto of providing high-quality reporting on economic and other news, while maintaining fairness and impartiality, is very close to that of the FT. We share the same journalistic values. Together, we will strive to contribute to the development of the global economy." Speculation that Pearson was eyeing a sale of the 127-year old newspaper first emerged on Bloomberg on Monday. Evercore, Goldman Sachs and J.P. Morgan Cazenove acted as financial adviser to Pearson on this transaction. Rothschild Group acted as financial advisers to Nikkei on this transaction. The transaction is subject to a number of regulatory approvals and is expected to close during the fourth quarter of 2015.